My motivation for dinners come from several places, tonight it was from a Facebook post my husband shared with me earlier in the week. It was almost correct and I immediately replied to the post with a few suggestions including the omission of garlic powder in favor of garlic cloves. When I went to cook it today, I realized that the recipe didn’t match the video and ultimately I made a few other changes. The recipe below includes all of the edits. 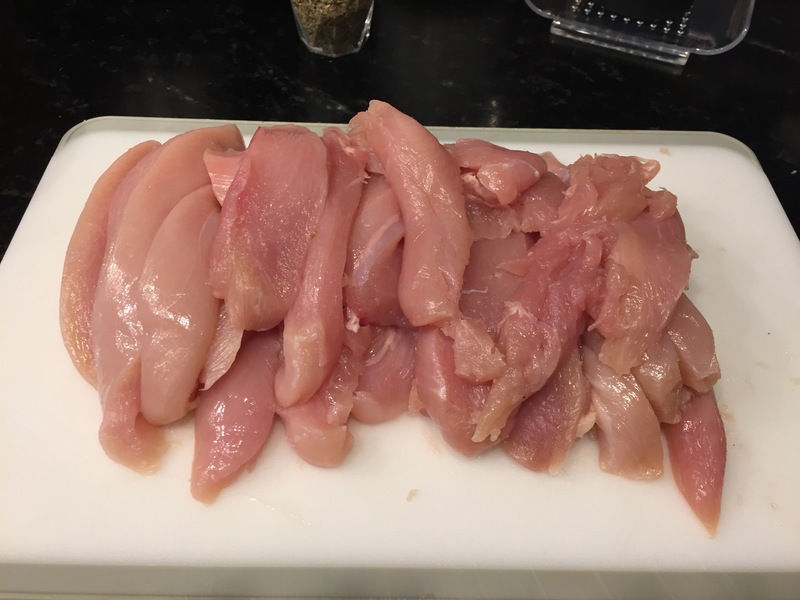 I began with prep work, ending with the chicken. 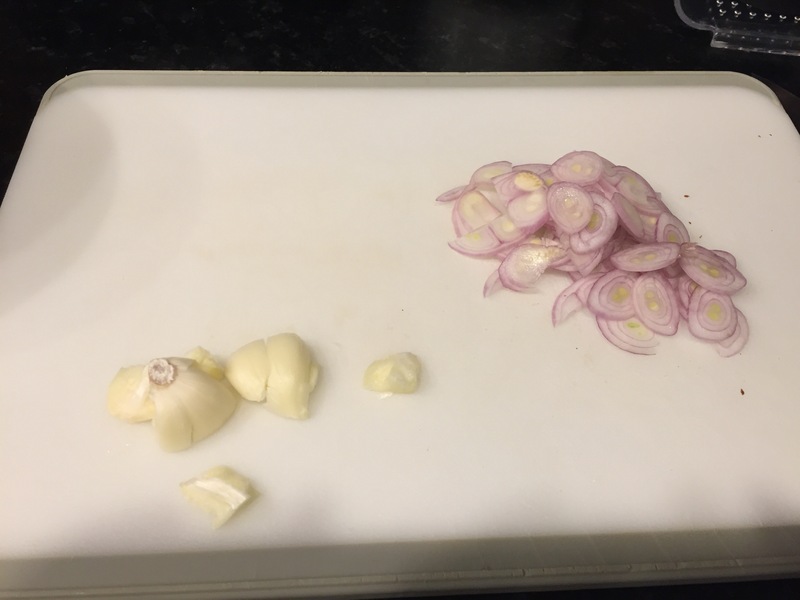 The cooking is very simple, starting with the garlic and shallots. Followed by the chicken after setting aside the shallots. I had also started the water for the pasta. 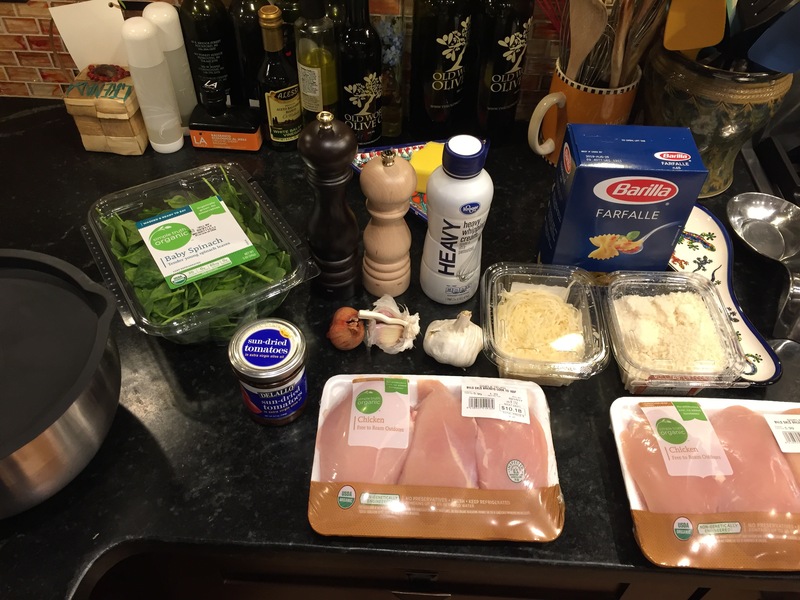 When I set aside the chicken, I started the pasta and the cream sauce. 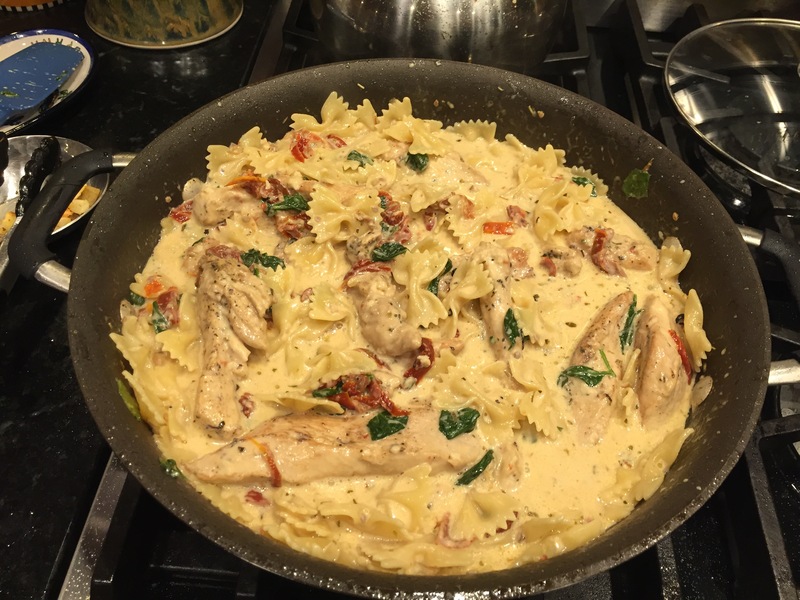 Entrées, Pastas, Poultry, Tested and Approved! Drain the sun dried tomatoes and reserve the oil. 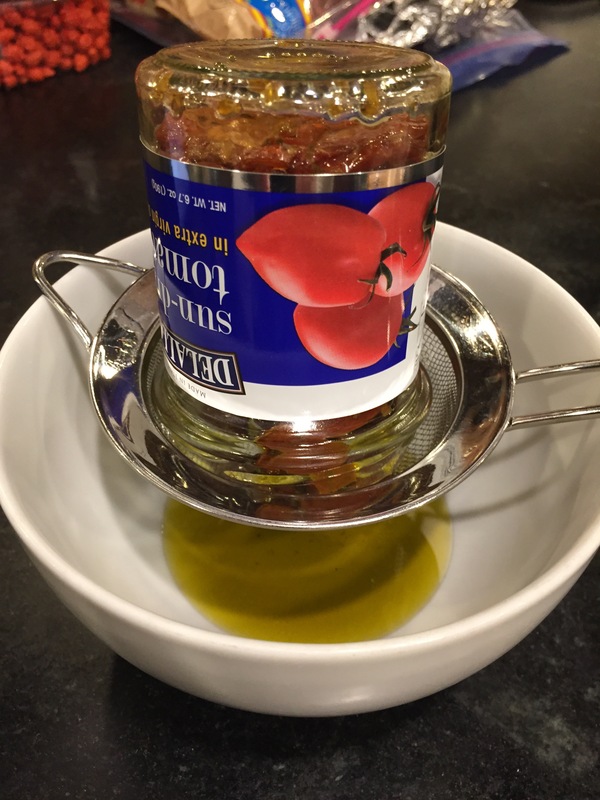 Slice the tomatoes into thin strips and set aside. 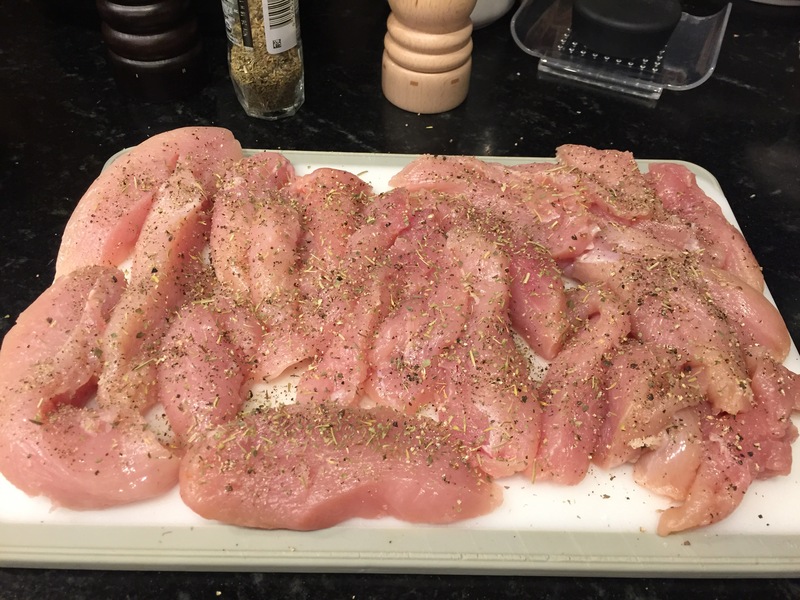 Season the chicken well with the salt, pepper, and Italian seasoning. 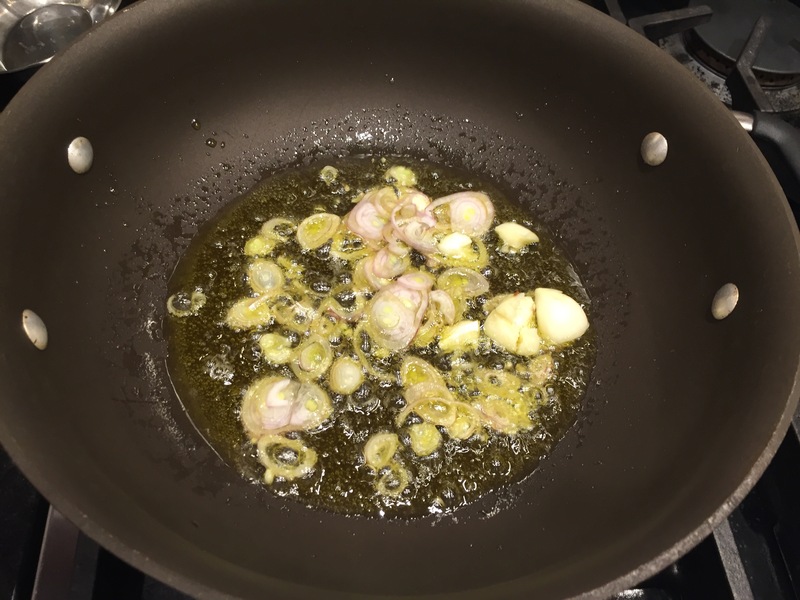 In a large skillet heat the reserved olive oil over medium high heat until shimmering but not smoking. 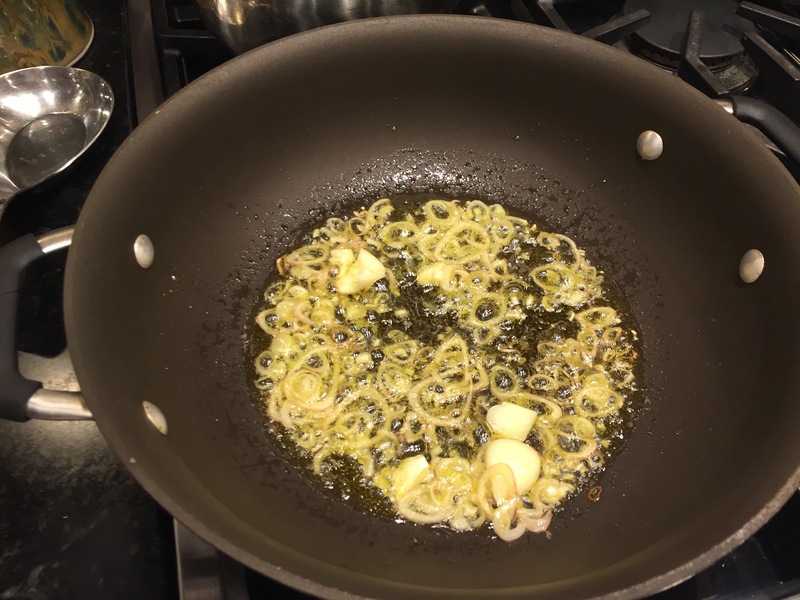 Add the smashed garlic and sliced shallot (if using) and cook until the garlic is fragrant or the shallots are crispy, remove from the skillet with a slotted spoon. 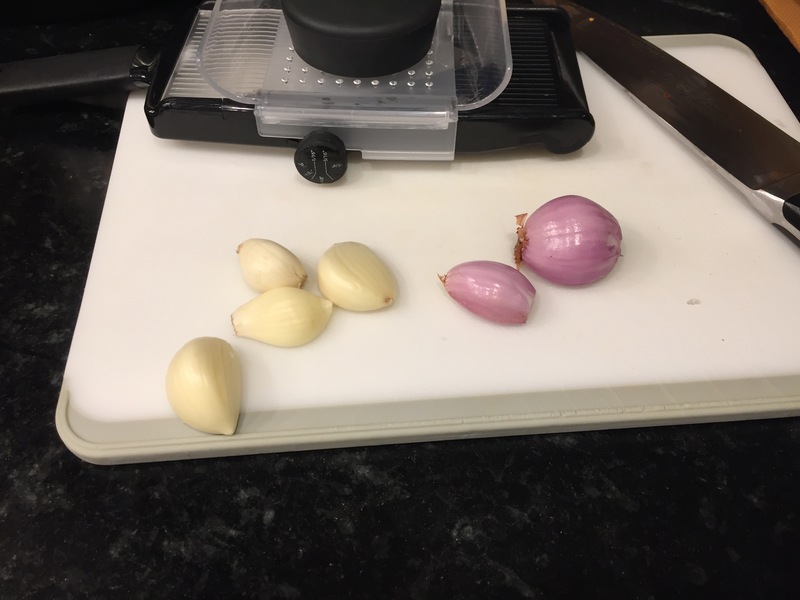 Discard the garlic. 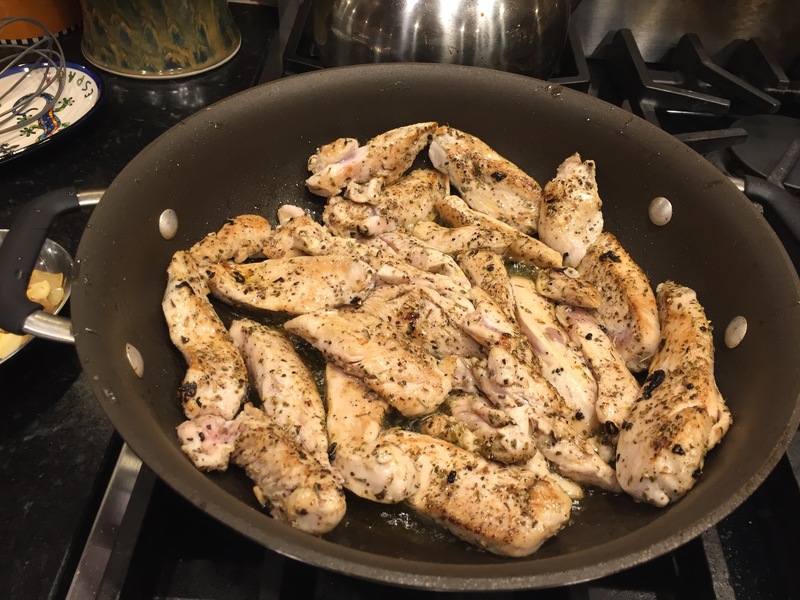 Cook the chicken in the oil on medium high heat for 3-5 minutes, until browned and cooked until no longer pink in center. Meanwhile, bring a pot of water to boil, and cook pasta as directed. 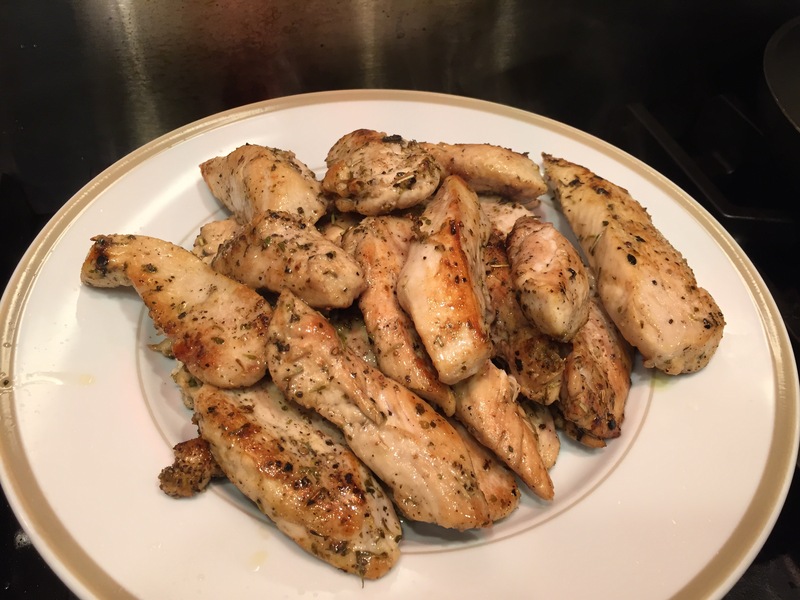 Remove chicken and set aside on a plate. 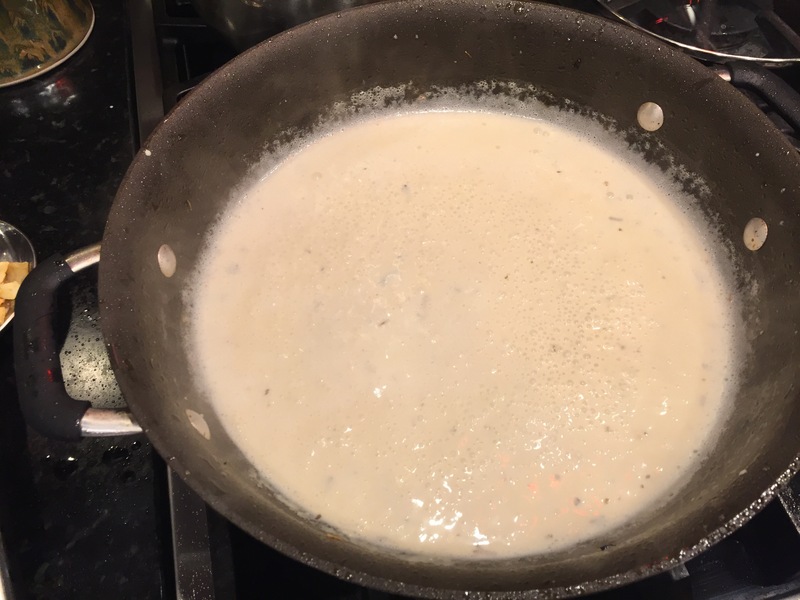 Add the heavy cream, chicken broth, and minced garlic. 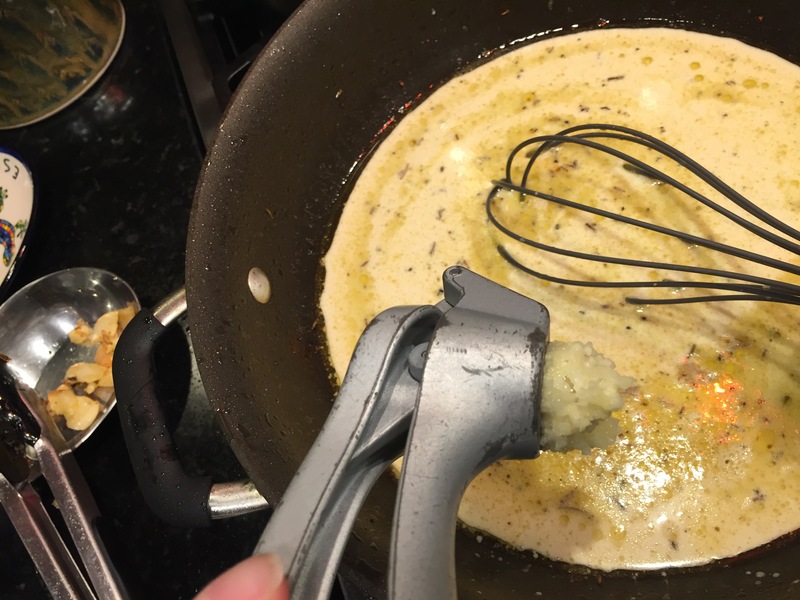 Whisk over medium high heat until it starts to thicken, then add parmesan and continue to stir. 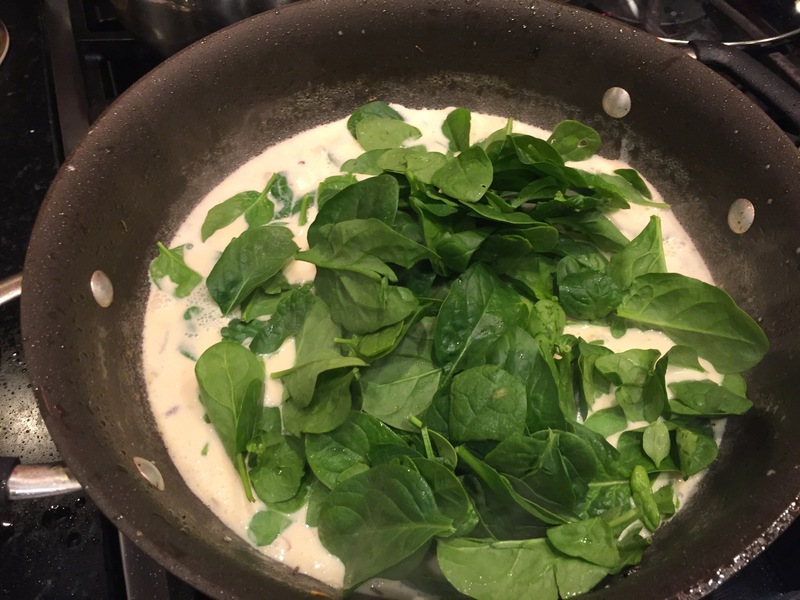 Add the shallots, sundried tomatoes, and spinach and let it simmer until the spinach starts to wilt. 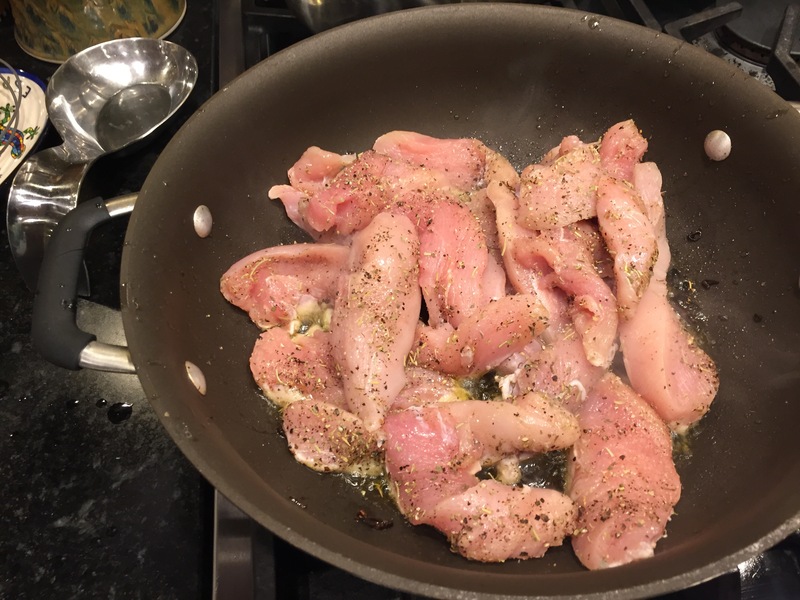 Add the chicken back to the pan and then the pasta stirring to combine. On Labor Day, Bon Appétit posted 16 Grilled Cheese That Prove Perfection Does Exist. A few caught my eye and I shared the links on my Facebook page. We “kind of” tried the Apple and Fontina Grilled Cheese on Monday; yes, it was fairly edited to match our own tastes and preferences. And then we put it on the panini press – delicious! The crispness of the apples was awesome. Butter bread on the outside, and spread each with mustard. 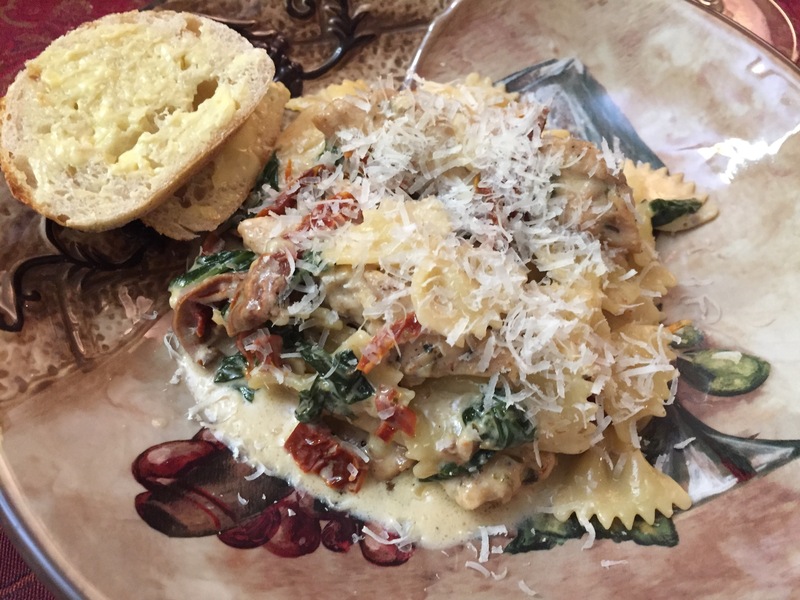 Layer shredded fontina, peppered turkey, spinach, sliced apple, and more shredded fontina. Top with remaining slice of bread and cook slowly in a large skillet or on a panini press. I still have a number of posts to complete, my work days have been extending so long that I simply have been exhausted. Today, I got home 12 hours after I left this morning. My husband and I discussed going out for dinner, but we only had little over an hour before we would need to be home for our son finally getting home for his birthday. He pointed out that we had Brie and pork in the fridge and a loaf of French sourdough. He wrapped my son’s presents and I set to slowly sautéing some thinly sliced red onions we also had in the fridge. I also thinly sliced my leftover bacon wrapped pork and a round of Brie. After the onions were done, I threw the pork in the same pan with barbecue sauce and a few splashes of smoked tabasco. I stacked the Brie, pork, some baby spinach, the caramelized onions, and more Brie onto the buttered bread and then carefully moved them onto the panini press. Perfect. It took 30 minutes, and my work day stress is gone. I am so thankful to have the best Guinea pigs on the planet, my husband, kids, and in-laws never complain and they eat everything. Granted I think it’s practically impossible to say no to good food, or any food…but I’m very thankful anyway. My understanding from friends is that my kids, who do try everything I put in front of them, are the exception. Sunday, I made a treat, another homemade pasta. I was not in the slightest bit concerned: garlic and shrimp are always a perfect combination. 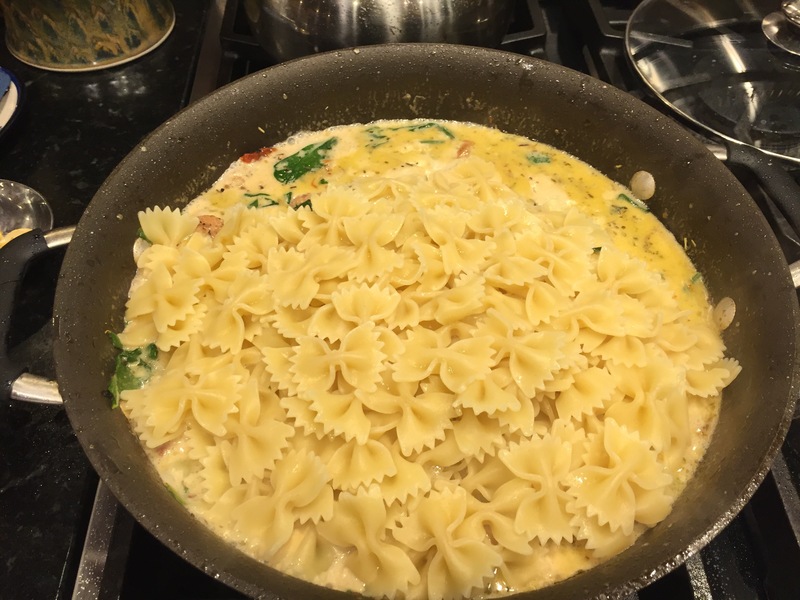 I have had this on my list for 3 weeks, but with the activities associated with the end of the school year and spring sports, I needed to find the right day to make pasta. This is another from the pasta cookbook I got for Christmas and it was another win. Although, as is fairly typical, I started with dessert when I got back from the grocery store. A couple of weeks ago you may have noticed Bailey’s Cream Cheese Brownies on the list, I was not happy, they were cake-like instead of fudge-like even though the flavor was perfect. I threw a large chunk in the freezer to give it new life. Homemade ice cream is a wonderful treat, and even better with Bailey’s and brownies. My favorite go-to book for ice cream is Ben and Jerry’s cookbook. There are lots of ideas in there, but the most important item is the sweet cream base. Start with the eggs and whip them until they are light and foamy. Then add the sugar slowly and they become thick and creamy. For ice cream, I always use my vanilla sugar; every time I use a vanilla bean it goes in this container of sugar, until I use the next one and swap it out. Last add the milk, heavy cream, and in this case Bailey’s to create your base. After that follow your if cream maker’s instructions. While it froze, I chopped my chuck of brownie and with a few minutes left I added in the chopped pieces. From there I moved onto the pasta. The recipe said it served four so I increased it accordingly, I need not have bothered, with the increase I could have served 10-12. I used a food processor recipe (still in my broken food processor). Starting with the flour and salt, then the eggs and oil all together. Although it appears to be a sticky mess when I turned it out on the floured pastry board, after kneading for several minutes it is a beautiful soft and smooth dough. Per the instructions I let it rest under a bowl while I began my preparations for rolling the pasta. Then they went through the the linguine blade and I spread them out and hung them everywhere. While it dried I moved onto my sauce, starting by rinsing and cleaning the shrimp. I blanched my tomatoes in the boiling pasta water so that the skin came off easily. I then proceeded to my chopping work before starting anything on the stove. While the water was coming to a boil I started the sauce; the pasta went in about the same time as the shrimp. The shrimp is added once the garlic is fragrant, once they are just opaque, the tomatoes, salt, and white wine are added. Once the wine had reduced off, the pasta was done and I tossed it all in a large bowl with the fresh parsley. As usual, my MIL made a wonderful salad (spinach, sprouts, and water chestnuts). And we had a garlic bread to round out the meal before serving the brownie ice cream for dessert with freshly sliced strawberries. Entrées, Shellfish, Tested and Approved! In a large pot, bring 5 qt. water to a boil. While the water is heating, make the sauce. In a frying pan large enough to accomodate the pasta later, warm the olive oil over medium-low heat. Add the garlic and red pepper flakes and cook gently, stirring occasionally, until the garlic is softened but not browned, about 2 minutes. Add the shrimp to the pan and sauté, turing once, until opaque, about 2 minutes on each side. Add the tomatoes, season with ~½ tsp. Sea salt, and stir to mix. Stir in the wine and cook until most of the alcohol has evaporated, about 3 minutes. Sprinkle with 2 Tbsp. of the parsley, taste and adjust the seasoning, remove from the heat, and cover to keep warm. 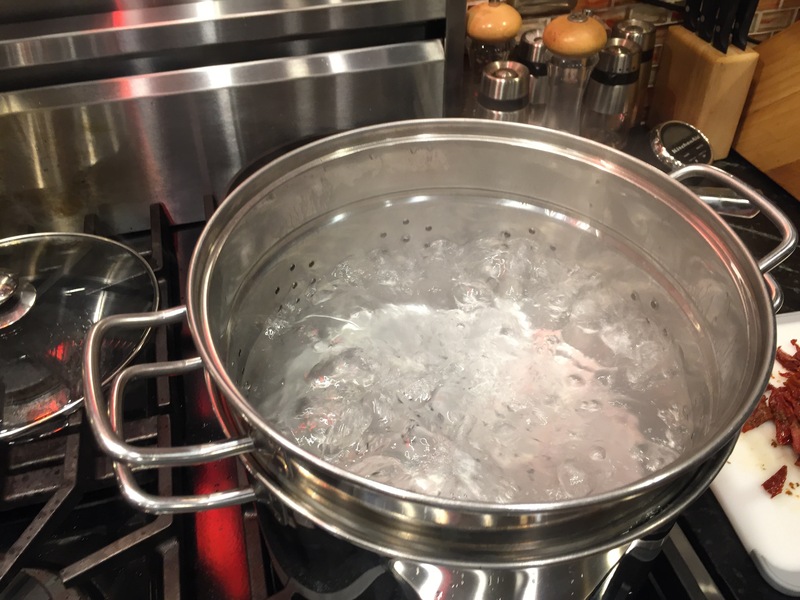 When the water is boiling, check the package directions for the cooking time, then add 2 Tbsp. 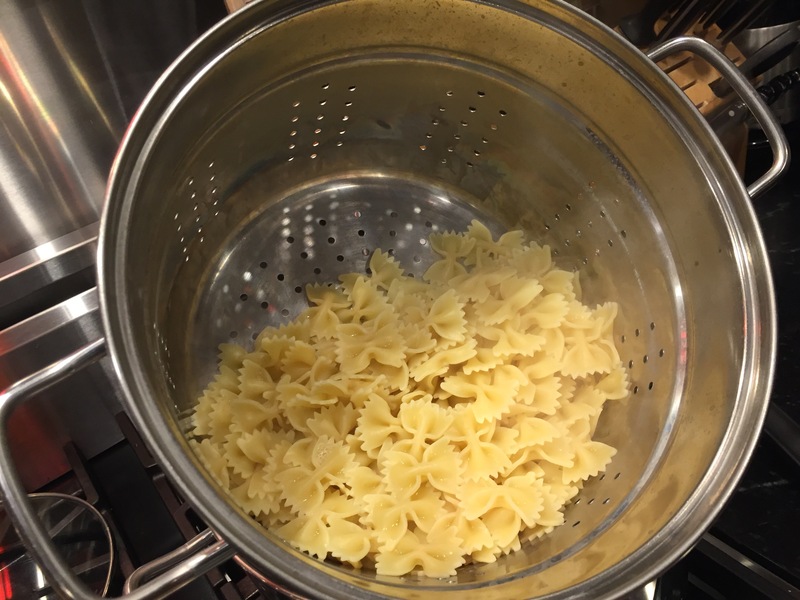 Kosher salt and the pasta to the boiling water, stir well, and cook, stirring occasionally, until the pasta is just shy of being al dente. Return the sauce to low heat. Drain the pasta, add to the sauce in the pan, and toss until the strands are well coated with the sauce. Transfer to a warmed large, shallow serving bowl, or individual shallow bowls, top with the remaining parsley, and serve immediately. Entrées, Pastas, Tested and Approved! Using the fork, gradually draw the flour from the sides of the well into the egg mixture and beat gently, always in the same direction, to combine the flour with the liquid. Secure the wall of the well with your other hand until the liquid has absorbed enough flour that it will not flow over the wall. When the mixture is too stiff to use the fork, begin using both hands, gradually drawing in the flour from the bottom of the wall, until you have a soft, moist, but not sticky ball of dough. If the dough will not absorb more flour without becoming stiff, do not use it all. If it is too soft, add more flour, a spoonful at a time. Clean the work surface, dust it lightly with flour and flatten the ball of dough into a disk. To make the dough with a food processor, fit a food processor with the metal blade. Add all but 1/2 cup of the flour and the salt to the work bowl and pulse to mix. You will use the reserved 1/2 cup flour later to adjust the consistency of the dough. Dust a clean work surface with flour. Remove the ball of dough from the food processor and place it in the center of the floured surface. Using your hands, flatten the dough into a disk. For both methods: Using the heel of your hand, push the dough down and away from you, fold it in half back toward you, rotate a quarter turn and repeat the kneading motion. After about 10 minutes, the dough should be smooth and elastic. Shape the dough into a ball, cover with an overturned bowl and let rest for 15 minutes before you roll it out. The gluten in the flour will relax, making the dough easier to roll. Do not let it rest longer or it will be too dry. Makes 1 lb. dough. Desserts, Ice Cream and Custards, Tested and Approved! 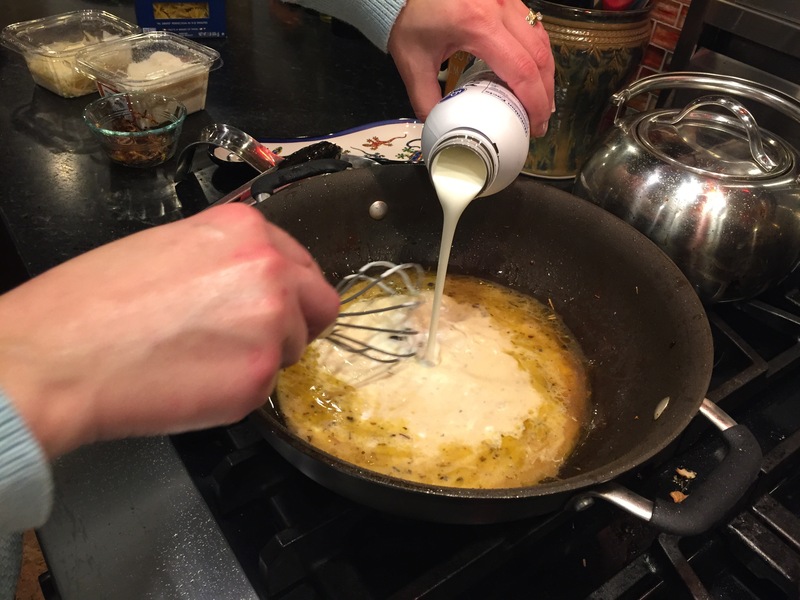 Use an electric mixer and whisk the eggs, until they turn light and fluffy (1-2 minutes). Slowly, add the sugar while whisking the eggs. I usually use an electric mixer in one hand and then use the other hand to pour the sugar in a little bit at a time. Slower is better. When it’s all in there, mix it a minute or so more. Then pour in the rest of the cream and milk and mix it all together. Vanilla Ice Cream: Add 2 teaspoons of good vanilla extract. Alcohol Flavored: Add ½ cup of liqour(s). Chill the mix (either covered in the fridge, or using the double-bowl and ice method) until it’s below 40°F (5°C). It helps to chill the mix before it’s run through the machine, so it freezes faster. The faster the mix freezes, the smaller the ice crystals will be, and the smoother the texture. If you have a machine with a built-in freezer, turn it on and let it get good and cold. Then turn on the motor so the dasher starts spinning, and pour in the mix. It’ll take about 30 minutes, more or less, to churn. You’ll probably be able to hear the motor slowing down when it gets close, and you should probably stop it before it really starts having trouble, just so you don’t damage it. It’ll come out like stiff soft-serve ice cream. Speed counts now. Get all the ice cream out of the machine, into containers, and into the freezer, as quickly as possible. After a few hours in the freezer, the ice cream will harden and be like what you buy in the store. Smaller, pre-chilled containers allow the ice cream to freeze faster, which is what you want to keep it from getting icy. I am sad today… I wrote most of this post yesterday, and was falling asleep so I decided to finish it today… and missed the step to save. Such is life. As you may have guessed, I’m not your normal “food blogger”. I don’t have an inspiration to work and work and work on a recipe until it’s perfect and post it. My goal is to read, fix, test, and share recipes for good food so that more people realize that cooking is not difficult or a mysical art. Cooking for me is wonderful, it relieves my stress, and more importantly it keeps me and my family healthy. Since I spent most of my day in the ER with my youngest (bruised but not broken ribs from lacrosse), I can verify that I made this and a salad in 2 hours. Sadly I had to forfeit Sunday dessert; it will come later. My eldest was a huge help with the prep and the cornbread. 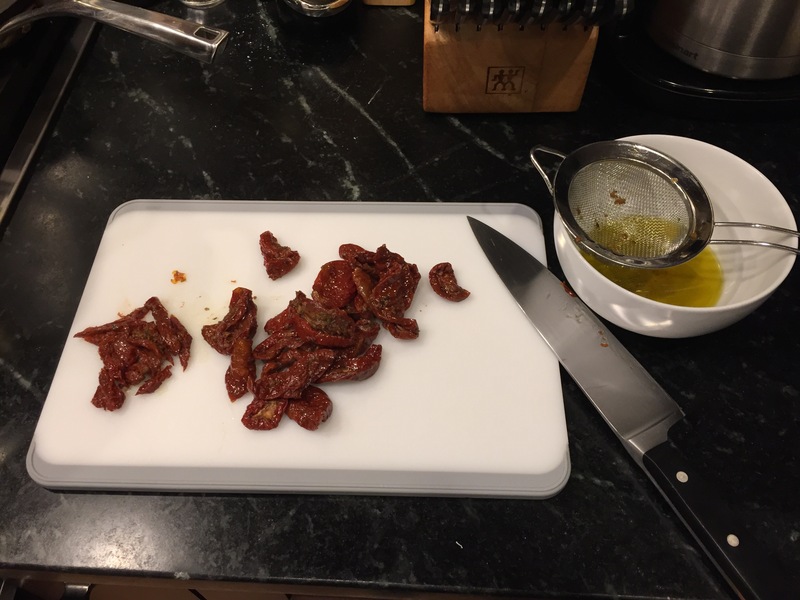 Cook the bacon until crispy and drain on paper towels. Cut the avocado in half, remove the pit, and scoop out the flesh. Place half of the avocado in a small food processor and process to form a paste. 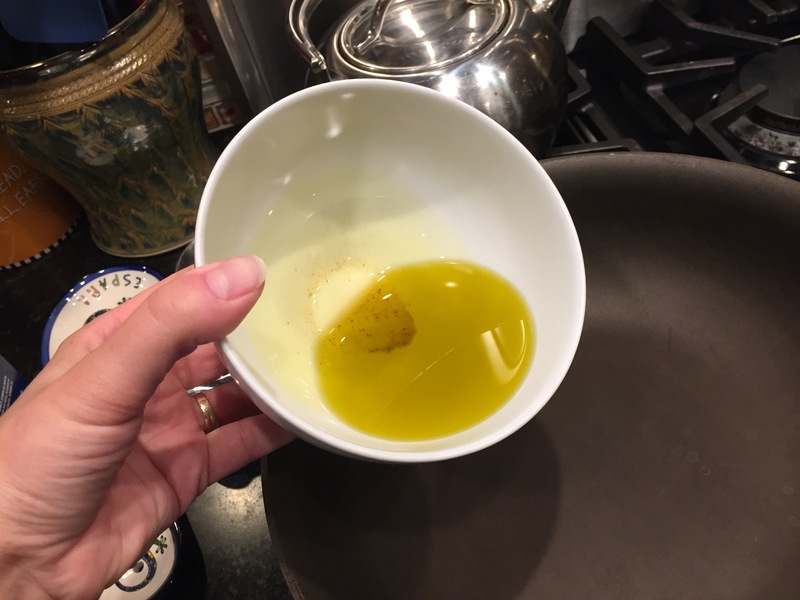 Add the vinegar, lemon juice, salt, and pepper and process well then add the olive oil and process briefly to combine. Dice the remaining half an avocado. Toss the spinach with the Brussel and bean sprouts, mushrooms, and avocado, then toss with the dressing and serve with the bacon. Entrées, Pork, Shellfish, Tested and Approved! 1. Line a rimmed baking sheet with foil and place the peppers on top. Roast them under the broiler until the skin becomes blackened and bubbly, turning every few minutes to char evenly, about 8-10 minutes. After the peppers have roasted, carefully transfer them to a large bowl and cover the bowl with plastic wrap. Let the peppers sit for 20 minutes to cool. 2. 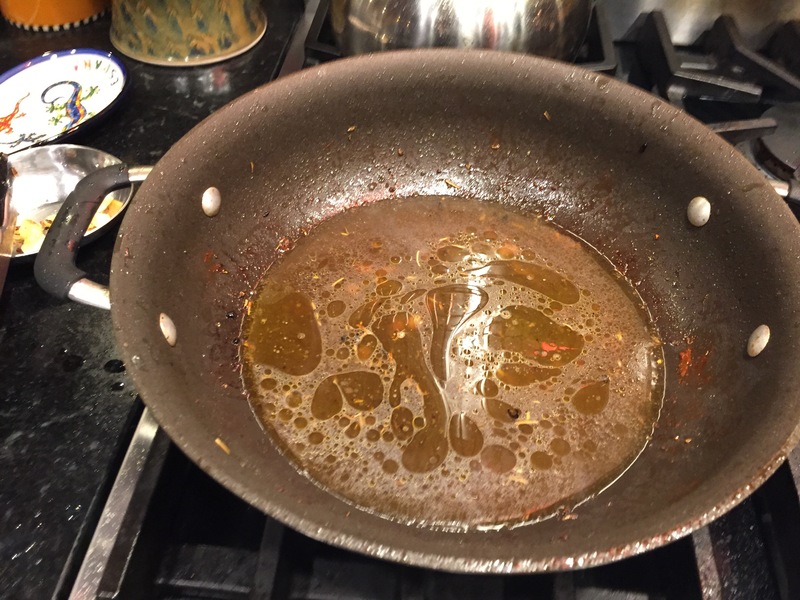 While you wait for the peppers to cool, heat oil in a large skillet over medium-high heat. Saute the chorizo for about 5 minutes, gently breaking it up with a wooden spoon. Stir in the onions, black beans, shoepeg corn, and garlic. Cook for 2-3 more minutes. Then, mix in the shrimp, tomato paste, oregano, and cumin. Cook for 2 more minutes. Transfer to a large bowl. 3. Add rice, tomato, cilantro, and ½ cup of each cheese to the bowl with the meat mixture and mix until combined. 4. 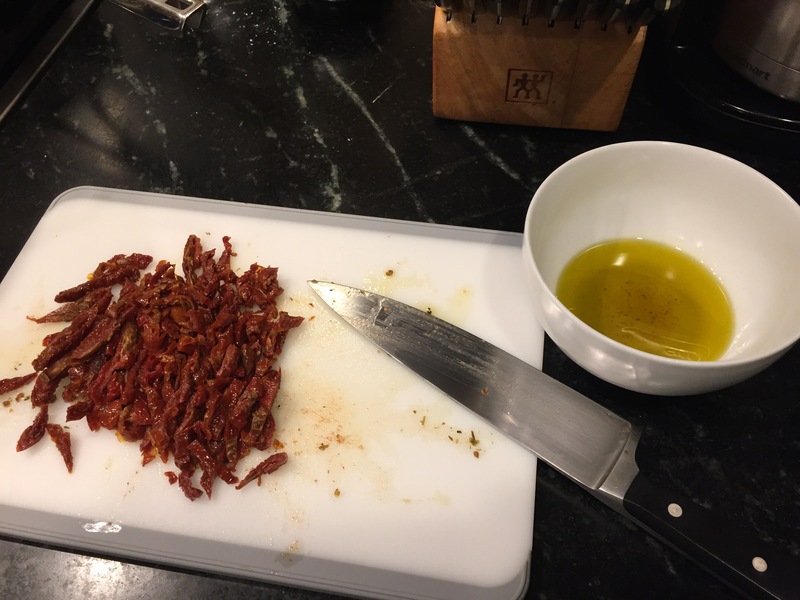 Carefully peel the skins off of the roasted peppers, and then slice the peppers lengthwise on one side to create a slit. Gently remove the seeds, and then spoon the mixture into the cavities of the split poblanos and place them on a baking sheet, split side up. Pull the pepper up around the filling and press gently to help it keep its shape. If necessary, use a toothpick to hold the peppers together near the bottom. Top with remaining cheese. 5. Put peppers back under the broiler for 2-3 minutes, or until cheese is completely melted. Sprinkle with additional cilantro and serve. Chicken pot pie is on the list of ultimate comfort foods in my opinion, my husband and I both have memories of the frozen variety from our youth. I recall thinking that they could have been better, my husband’s memories are less favorable; when I first made them several years ago, he was concerned for the outcome. I can no longer recall what, if any, modifications I made. My sister had given me a gift of a subscription of Martha Stewart’s Everyday Food, some recipes were good as written, others were simple and needed “tweaking”. 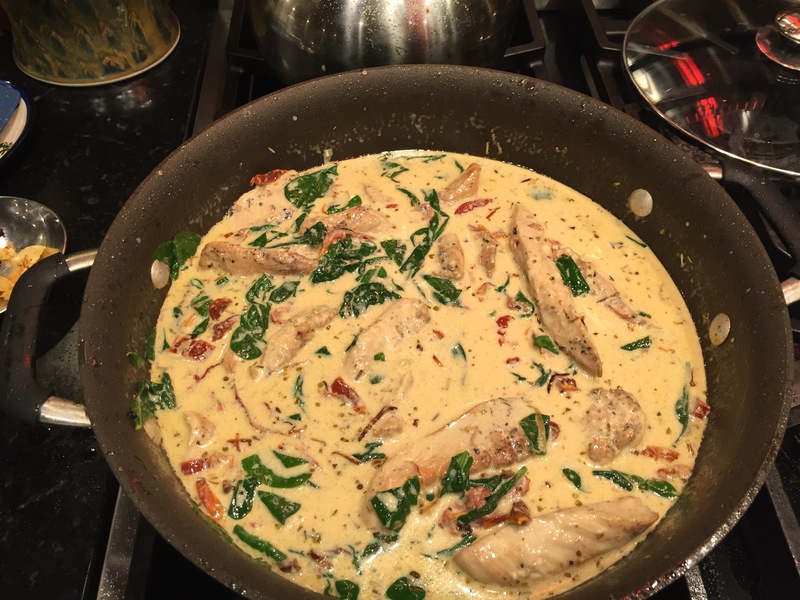 As with many of my recipes, it is not difficult, but it does take a bit of time. 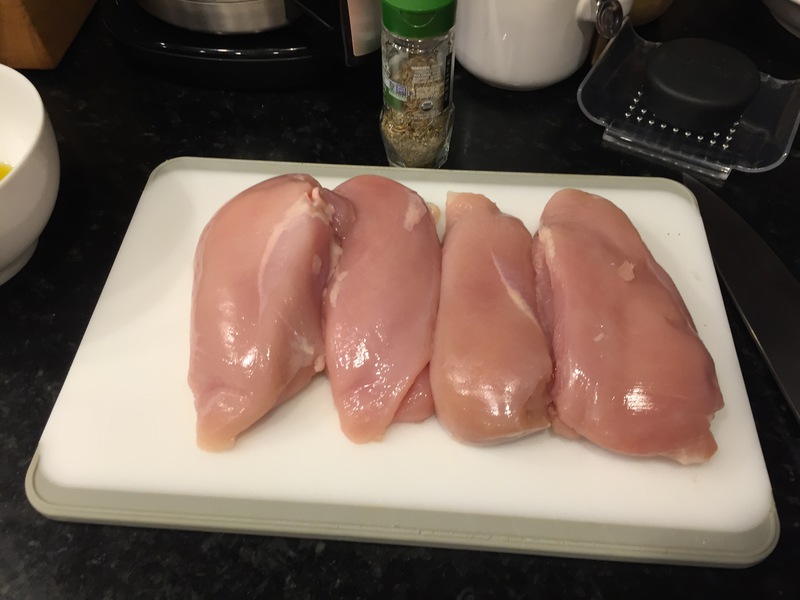 I have used a variety of types of cooked chicken from leftovers as well as making chicken to use in the pot pies. Sunday I shredded a rotisserie chicken; your selection will modify the flavor slightly, but not negatively. Before I started the pot pies, I made the Irish Beef Stew for Thursday’s dinner, as I haven’t made that previously I’ll have to taste it before I write about it. 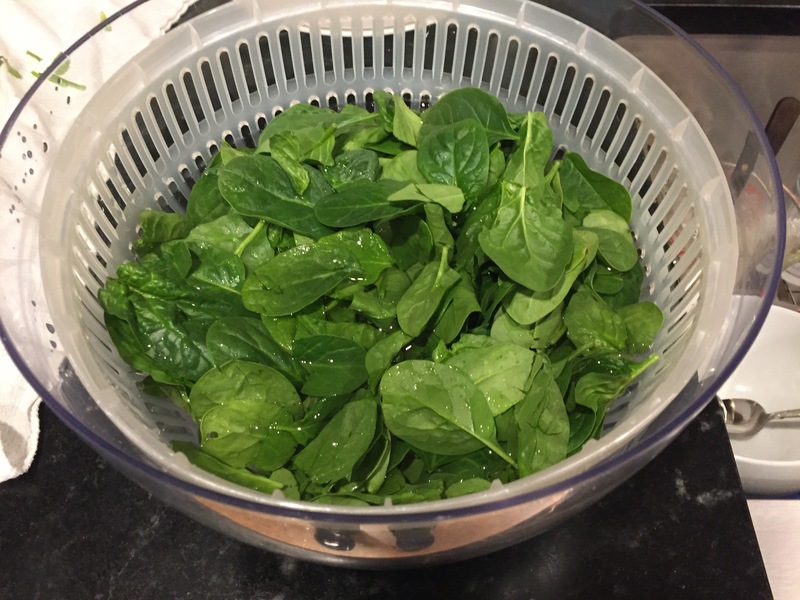 My in-laws are wintering in Florida and my boys have explained that their absence does not mean that salads can be omitted from Sunday dinner so, I also made an Asian Spinach Salad with Orange and Avocado, the key is a very sweet orange. 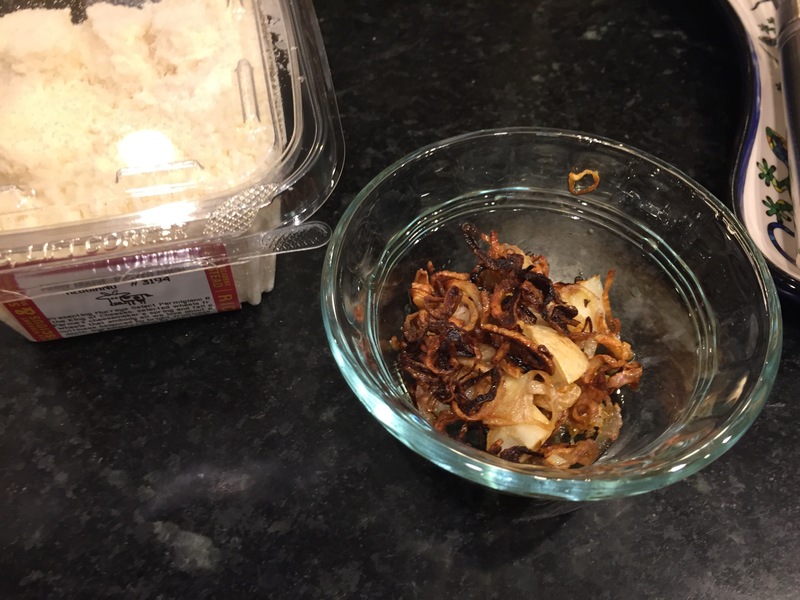 The ginger and shallot mix is not for the faint of heart (or those prone to heartburn); a ginger sesame dressing would stand in well. I also wrapped up the meal with one of my favorite cakes. I like cakes a lot, but I’m not a particular fan of those that are covered in sticky sweet frosting. This is beyond simple and requires no frosting; the berries and and sugar form a perfect topping. 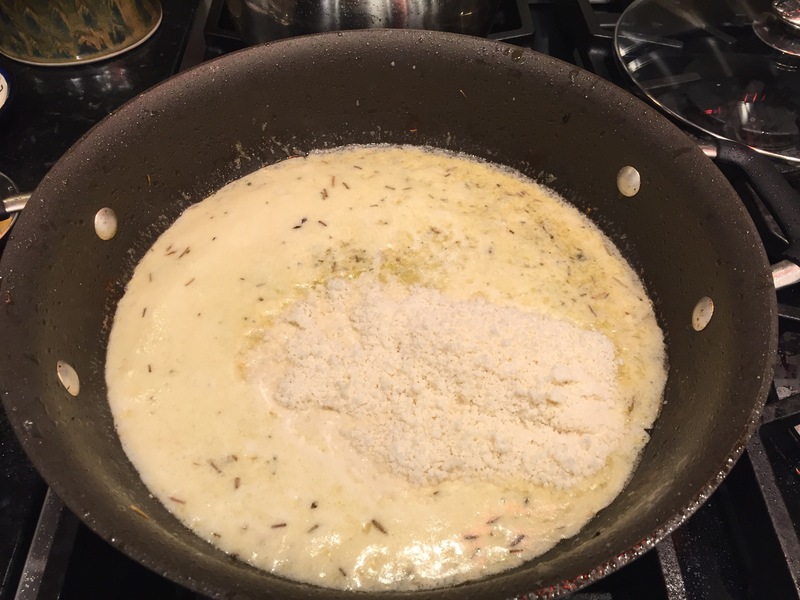 My second reason for putting this high on the list is how easy it is; aside from softening the butter this goes from ingredients to the pan within 15 minutes. Last the raspberries always remind me of picking rasperries as a child, wandering through the brambles, trying to avoid the thorns; the sweetness was always the perfect reward. Yesterday I made it with blackberries instead of raspberries; they just looked better when I was at the market. In a medium saucepan, melt butter over medium. Add onion and carrot and cook until onion softens, about 6 minutes. 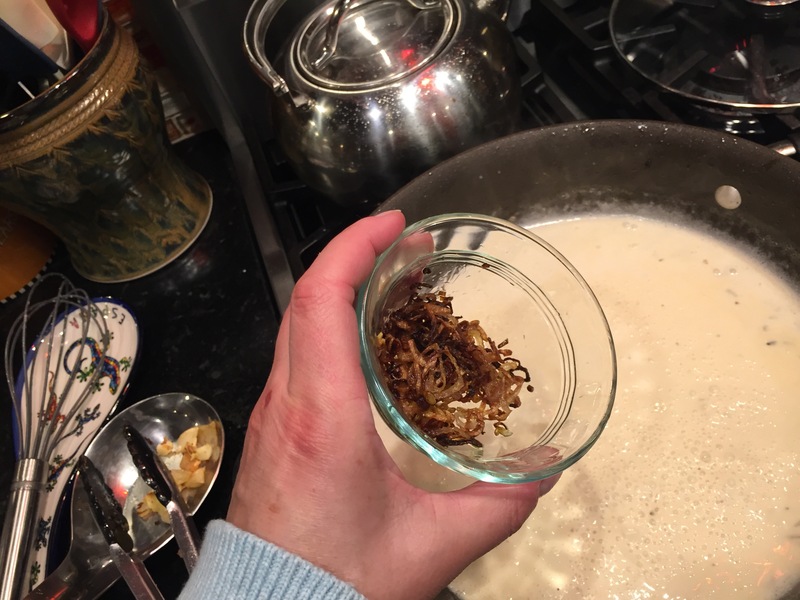 Add flour and 1/2 teaspoon salt; cook, stirring frequently, until mixture is pale golden, has a slightly nutty aroma, and is the texture of cooked oatmeal, about 5 minutes. Whisking constantly, add broth. Bring to a boil, stirring frequently, until mixture thickens, about 8 minutes. Reduce to a simmer and cook 10 minutes. Stir in chicken, peas, and thyme; season with salt and pepper. Divide mixture among six 12-ounce baking dishes; refrigerate until room temperature, about 15-20 minutes. Preheat oven to 375 degrees. On a lightly floured work surface, roll pastry to an 1/8-inch thickness. Cut into 6 rounds, ½ inch larger than dishes; with the tip of a sharp knife, cut vents into pastry. In a small bowl, lightly beat egg yolk with 1 teaspoon water; top potpies with pastry and brush with egg wash. Bake until pastry is deep golden and juices are bubbling, about 35 minutes. Whisk first 5 ingredients in large bowl. Season to taste with salt and pepper. Set dressing aside. Cut off peel and white pith from orange. Cut orange into 1/3-inch rounds; cut rounds crosswise in half. 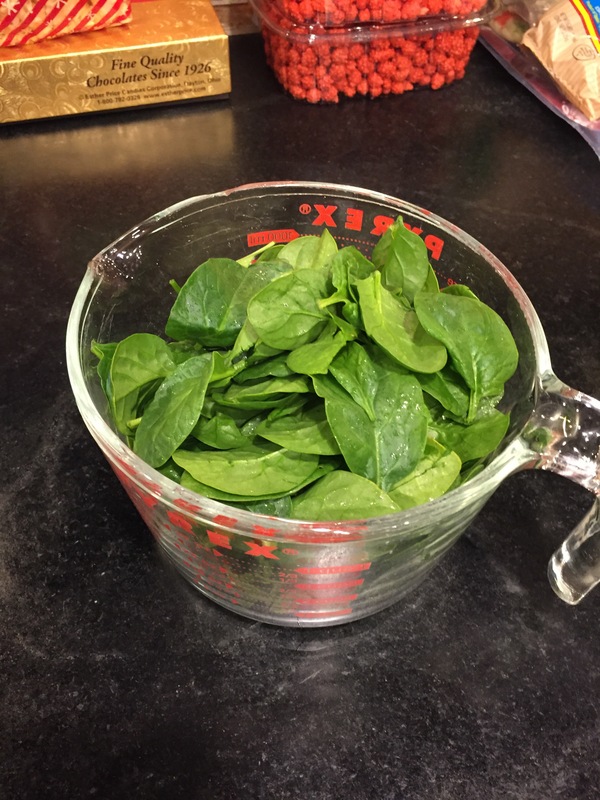 Add spinach to dressing; toss to coat. Add avocado and orange; toss gently. Preheat oven to 400°F with rack in middle. Butter and flour a 9″ round cake pan. Whisk together flour, baking powder, baking soda, and salt. Beat butter and ⅔ cup sugar with an electric mixer at medium-high speed until pale and fluffy, about 2 minutes, then beat in vanilla. Add egg and beat well. At low speed, mix in flour mixture in 3 batches, alternating with buttermilk, beginning and ending with flour, and mixing until just combined. Spoon batter into cake pan, smoothing top. Scatter raspberries evenly over top and sprinkle with remaining 1½ tablespoons sugar. Bake until cake is golden and a wooden pick inserted into center comes out clean, 25-30 minutes. Cool in pan 10 minutes, then turn out onto a rack and cool to warm, 10-15 minutes more. Invert onto a plate. 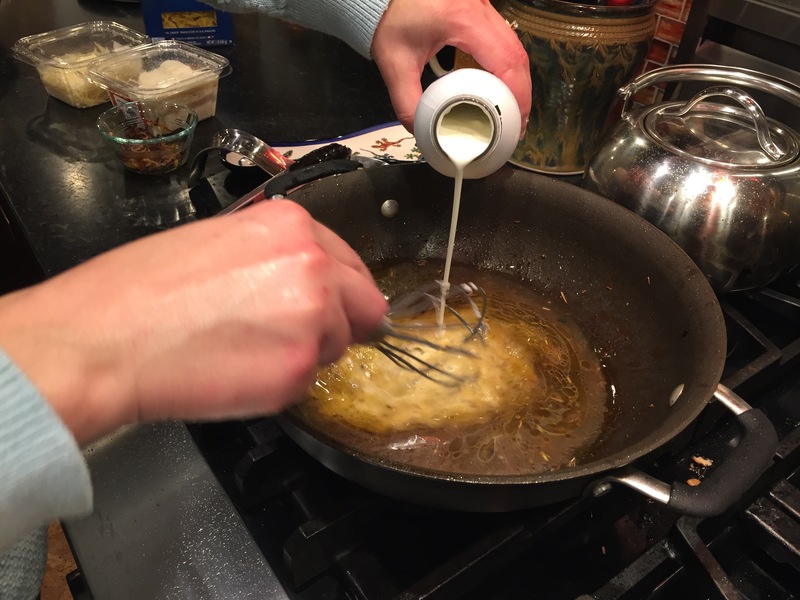 I've started a blog about my cooking not because I think it's perfect, but because food brings people together. 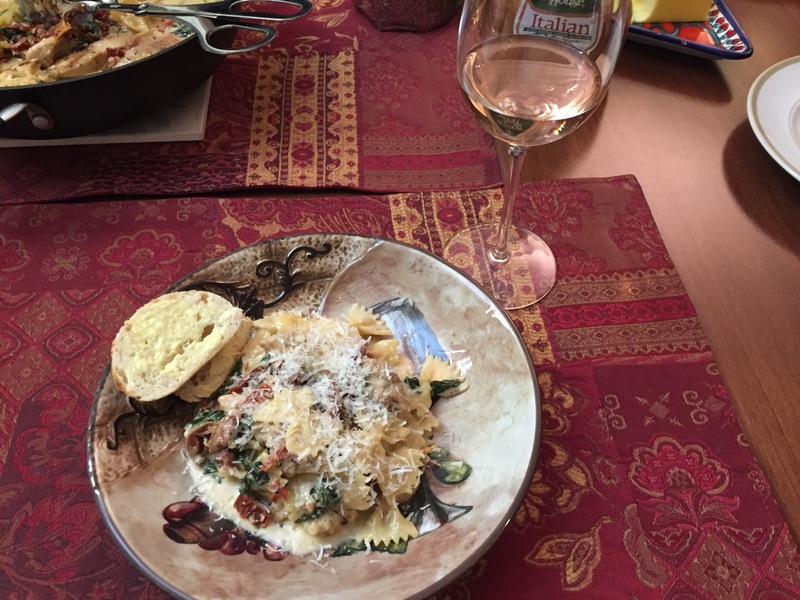 I love to share good food and good recipes. I have two boys who are thankfully not picky; I waver back and forth between thinking it's something we've done correctly or a pure blessing. We do have our food challenges, my eldest has a severe tree nut and fish allergy. My husband and I have been together for over twenty years and I consider us to be slight oddities. We have both been working full time for our respective companies since the day we graduated from college. We both adore good food and good company. 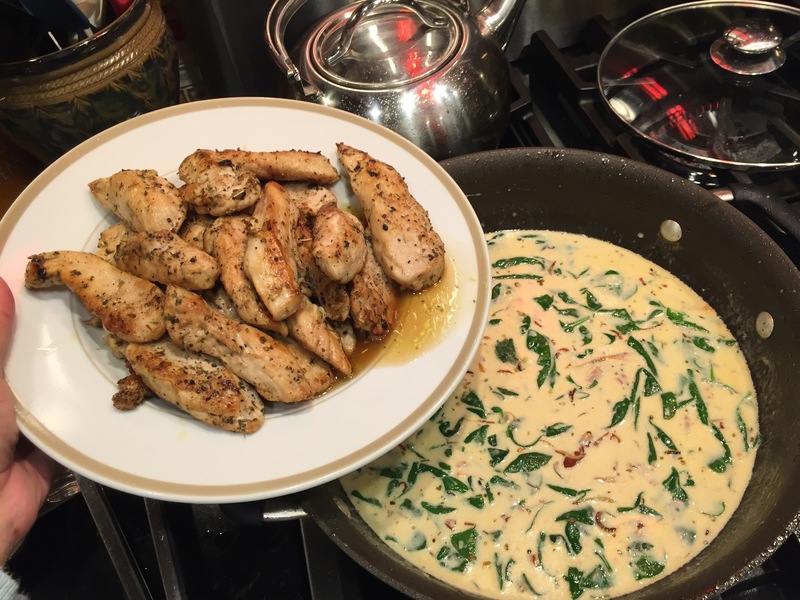 My cooking started out simple, but I always was intrigued by how to break down a meal that we had in a restaurant and figure out how to make it at home. 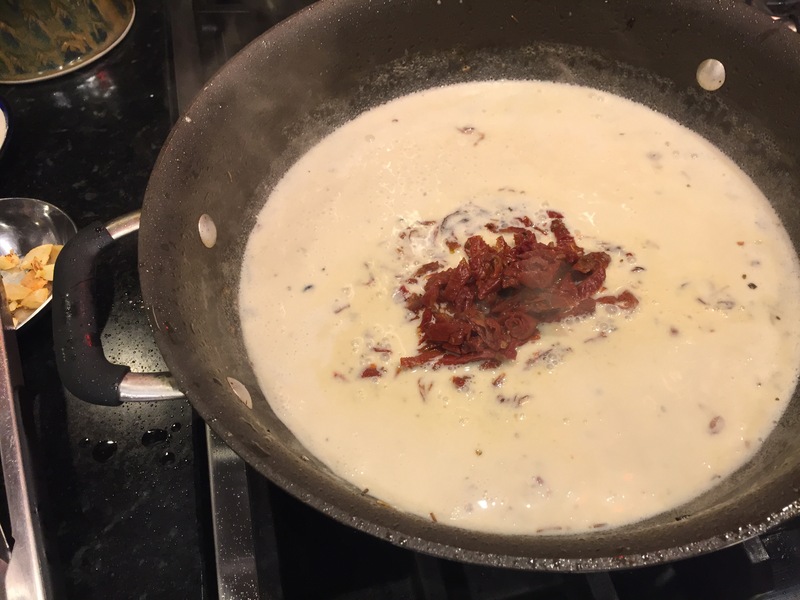 I am not adverse to trying new techniques and new ingredients. The regular joke about me is that I never make the same thing twice.